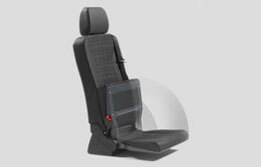 All Smartseat M1s are optionally available with ISOfix brackets for attaching child seats. 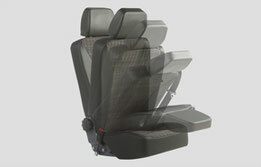 According to EU Directive 2007/46, all M1 vehicles must be equipped with at least two ISOfix connection points including an anchorage for the upper ISOfix tether. 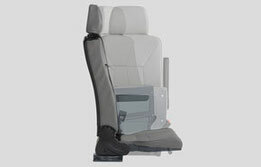 All AMF-Bruns Smartseats with ISOfix have been tested and approved by RDW. 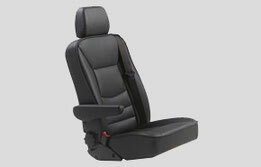 AMF-Bruns has various different seat bases in their range to cover the M1 seats. In combination with the Smartfloor aluminum floor, seats with Smartleg provide additional flexibility and are specially designed for commercial use. 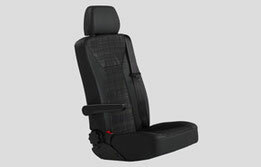 All AMF-Bruns M1 seats have been tested in vehicles and comply with the latest UN/ECE R14 guidelines.